This is the B-2 Spirit's desert version of the Republican Guard Hunter. It has the date 3-20-03 on it also, denoting the first night of the OIF war. This patch is from the USAF/NGACS/Boeing Smart Bomb Rack Assessment for the MK-82 testing and development. This is the "red" version. This patch is from the USAF/NGACS/Boeing Smart Bomb Rack Assessment for the MK-82 testing and development. This is the "blue" version. This is the crest patch from the B-2 System Program Office. Not sure where they are located, though. 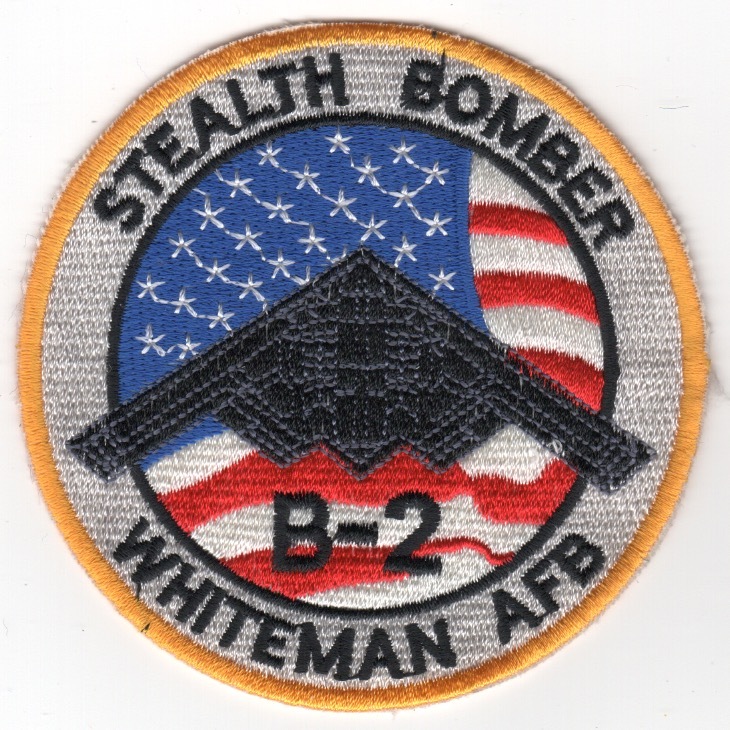 It's believed that this patch came from the B-2 Rollout, when it was revealed to the public. The Northrop (later Northrop Grumman) B-2 Spirit, also known as the Stealth Bomber, is an American heavy penetration strategic bomber, featuring low observable stealth technology designed for penetrating dense anti-aircraft defenses; it is a flying wing design with a crew of two. The bomber can deploy both conventional and thermonuclear weapons, such as eighty 500�lb (230�kg)-class (Mk 82) JDAM Global Positioning System-guided bombs, or sixteen 2,400�lb (1,100�kg) B83 nuclear bombs. The B-2 is the only acknowledged aircraft that can carry large air-to-surface standoff weapons in a stealth configuration. I found this patch in a Korean embroidery shop, has the 'theater-made' feel to it with a 'cut-edge' border and 'FLAG' background, and does not have velcro attached. This is one of the B-2 Aircraft patches. This is the white-lettered version of the 420th's B-2 "Flight Test" patch worn by those in that "flight". I think they operate out of Edwards AFB, CA. This is the B-2 "Flight Test" patch worn by the AIRCREW. At first glance this may look like an ordinary ACC patch --- but low and behold it has a hidden treasure. The B-2 is in red (where the wall usually is located). It was an order from the Missouri Air Guard. This patch comes with velcro attached. This is the standard Air Combat Command (ACC) Crest patch. This is the desert version of the standard Air Combat Command (ACC) Crest patch. 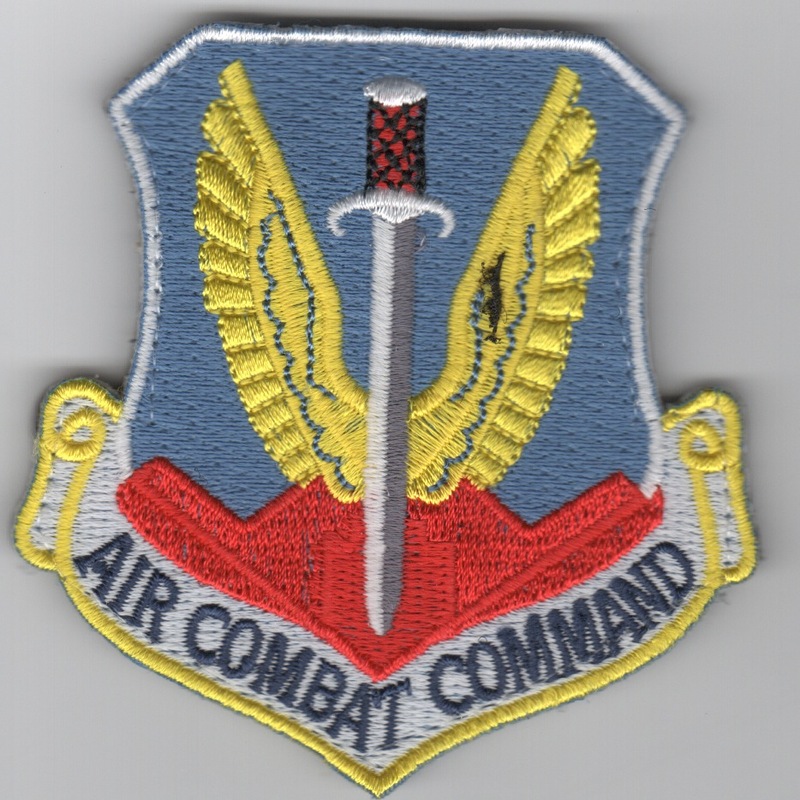 This is the larger, leather-backed version of the Air Combat Command (ACC) Crest patch. Homepage | Order MISC B-2 Patches!